Just a quick post. Yesterday I harvested my very first veg. I can't tell you how thrilled I was. I know it doesn't sound like much but I am beyond excited. I also have a small confession. In the past, when I have grown vegetables, I have mostly given them away to neighbours and friends. Mad I know but there you have it. 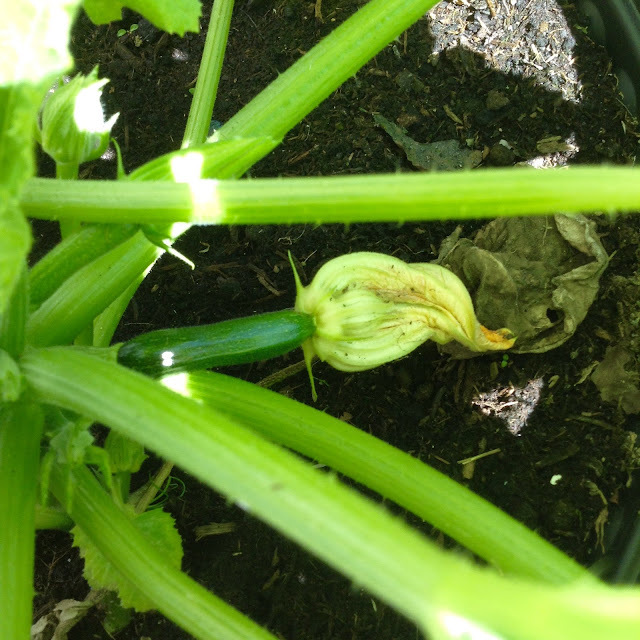 This year, I intend to eat everything I produce. 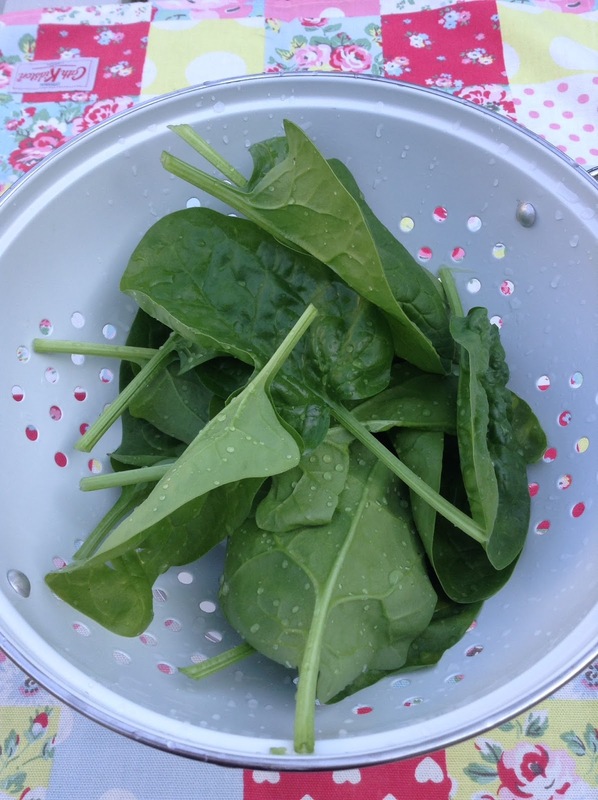 Yesterday's harvest was some spinach. I could have picked more but I didn't want to use it all but I did pick enough to make something nice to eat. 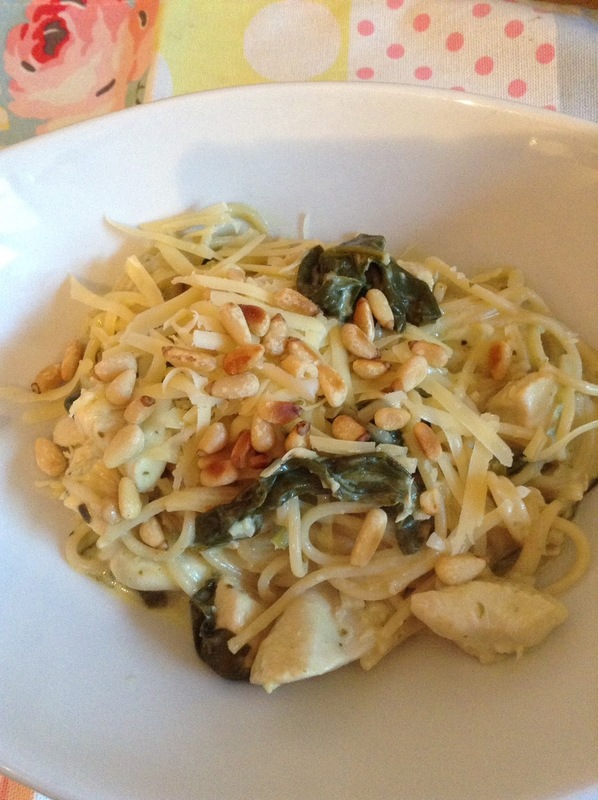 So, for supper last night I made chicken cooked with white wine, garlic, a tablespoon of green pesto, a tablespoon of creme fraiche, my home grown, freshly picked spinach all topped with a sprinkling of cheese and some toasted pine nuts. It was absolutely delicious. 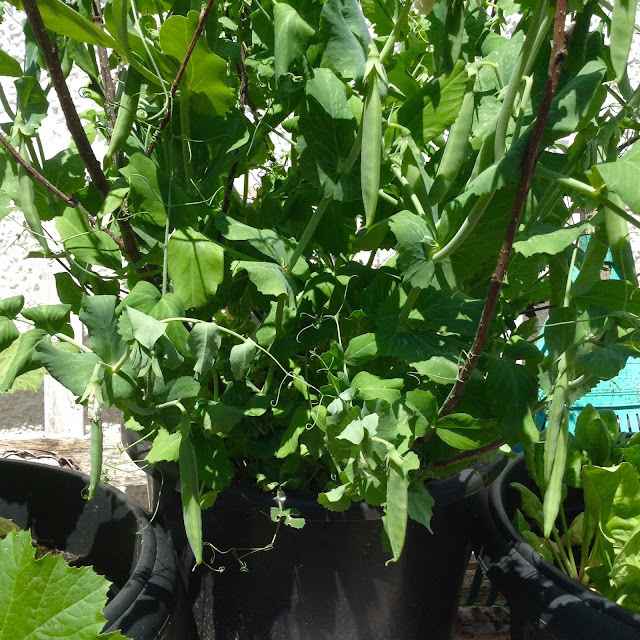 I'm also getting ready to pick some sugarsnap peas I have loads of them on the plants and I'm thinking they would be great for Sunday lunch. And I tell you ..... getting these photos in the brilliant sunshine, without my glasses, was no mean feat! I couldn't see a thing and it was basically just a case of stick my iPad into the plants, click the button and hope for the best :-) !! Love eating things we've grown in the garden. I have potatoes in the kitchen my husband brought in yesterday.